It was not immediately clear if the attack was carried out by Israeli warplanes, which last struck targets in Syria on Christmas Day. In that incident, Israeli aircraft flying over Lebanon fired missiles toward areas near Damascus, hitting an arms depot and wounding three soldiers. Israel is widely believed to have been behind a series of airstrikes in Syria that have mainly targeted Iranian and Hezbollah forces fighting alongside the Syrian government. The official said the movement of equipment is part of what the military calls the start of a “deliberate withdrawal” from Syria, where about 2,000 troops have been working with a coalition of Syrian Kurdish and Arab fighters to defeat the remnants of the Islamic State group. 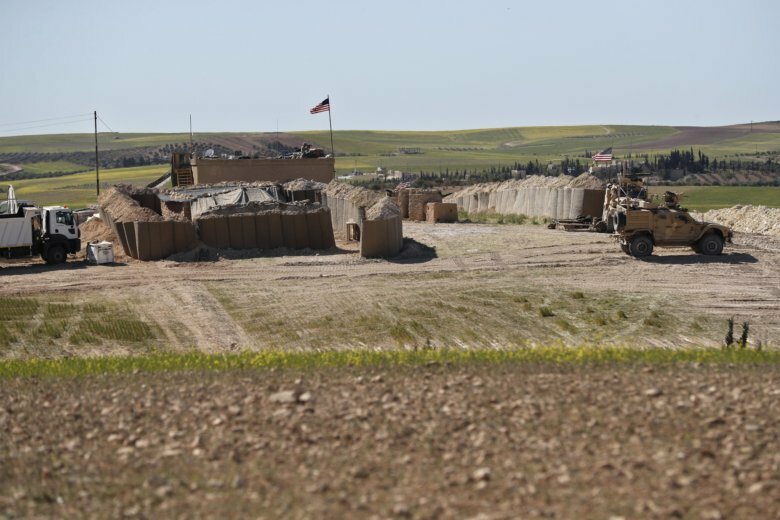 The official provided no numbers, but said the equipment withdrawal is underway and that an unspecified number of additional U.S. troops have been brought into Syria to assist with the withdrawal process. These include troops to provide additional security. — Robert Burns in Washington. Ilham Ahmed, who co-chairs the U.S.-backed Syrian Democratic Council in northeast Syria, said the Americans have a right to make decisions that are in their country’s security and national interests. However, she adds that safeguarding the peace and stability of the areas they withdraw from “must be guaranteed.” This includes putting an end to Turkish threats and fully eradicating the Islamic State group and its sleeper cells, she said. Ahmed spoke to The Associated Press Friday hours after an American official said the process of withdrawing American equipment from Syria has begun. Russia’s Foreign Ministry says the Americans are not serious about withdrawing from Syria. Zakharova said Moscow has not seen public statements laying out the U.S. strategy in Syria and so cannot be sure that the U.S. is serious about leaving. Zakharova’s remarks appeared shortly after an American official said that the U.S.-led military coalition has begun the process of withdrawing equipment from Syria. An American military official says the U.S.-led military coalition has begun the process of withdrawing from Syria.